Bentong, a secluded town in Western side of Pahang, provides a sweet escape for urbanites staying in Klang Valley. The geographical location of Bentong on the slopes of Titiwangsa Range, which forms the backbone of Malay Penisula earns the green town the title - "Fresh Air Lung Washing" Destination. You can spend a short 2 days 1 night trip or a day trip would be suffice to visit Bentong. Follow our guide for some food and places of interest we have been to in Bentong! Ming Ji Wan Ton Noodle 明记云吞面 is one of the best wan tan mee that left deep impression on us. Operating at night only, the business is brisk and we waited about 30 minutes to be served. 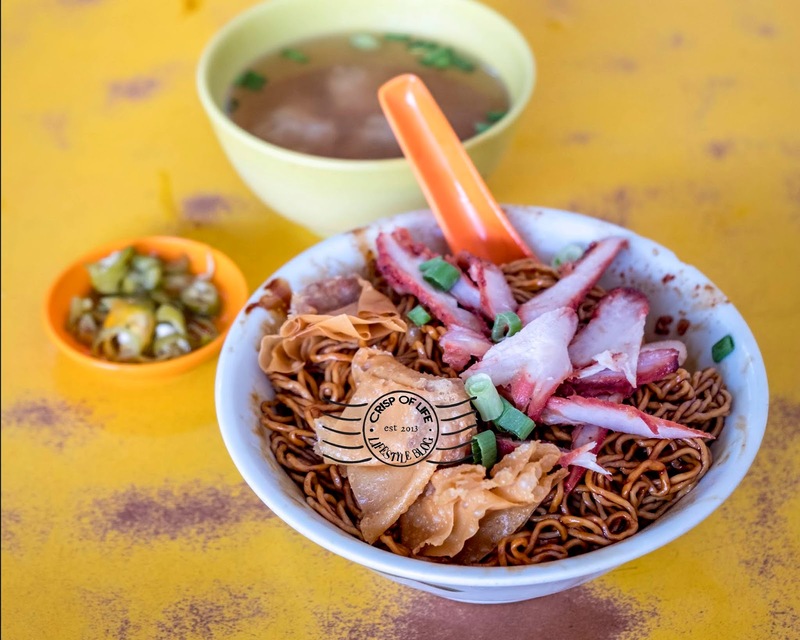 The al-dente noodles coupled with the nice soy sauce seasoning, fulfilling wantan and delicious char siew makes this bowl of wantan mee irresistible. How we wish to have a second stomach to store more of it! Hooi Kee Wan Ton Mee 开记云吞面 occupies the same shop as Ming Ji Wan Ton Noodle 明记云吞面 but they operate in the morning instead. However, do not confuse as these 2 wantan mee totally have different taste. Hooi Kee Wan Ton Mee is not bad as a breakfast choice, and we top up the noodles some crispy wantan. Personally, Ming Ji Wan Ton Noodle still the best. Yong Tau Foo is pretty popular in Bentong town and it is akin staples to the town folks. We were amazed by the myriad choices at the Yong Tao Foo stalls. One of the place you can get Yong Tao Foo is Yuen Kee Coffee Shop, the same coffee shop as Ming Ji Wan Ton Noodle and Hooi Ji Wan Ton Noodle. Thong Kee is a big name and a must visit place whenever you are in Bentong. 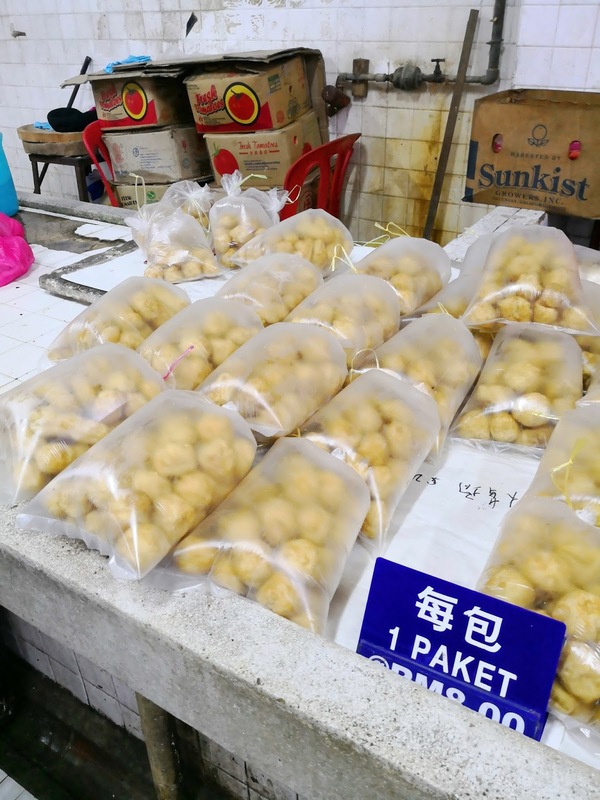 They are famous for making one of the best Cham Peng, or known as 1+1 over here. The taste is best if you order take away. Toast here is equally awesome too with their homemade kaya and thick butter! Many would have the breakfast here with another stall of Wan Ton Mee. Personally we were not impressed with the Wan Ton Mee here. On the other hand, Sui Gow offered by the other stall is a good bargain. Warm your stomach with a bowl of Bentong Tau Fu Fa at this small shop. The Tau Fu Fa here is smooth in texture and topped with ginger. Definitely a good bargain at RM 1.50 per bowl. It would be great if the sweetness is slightly tuned down for our personal preference. In case you were in Bentong on a Monday and miss out the renowned Thong Kee 1+1 (as Thong Kee is closed on every Monday), then Lao You Kee makes a good alternative. There are 1+1 here served in Lao You Kee as well, along with kaya butter toast, polo bun, mixed rice, and their signature Hazelnut or Caramel Coffee. Polo Bun is a good deal for snack. It comes with a generous quantity of butter sandwiched between the buns. On the other hand, their signature Caramel Coffee was too overwhelming in caramel taste for our liking. 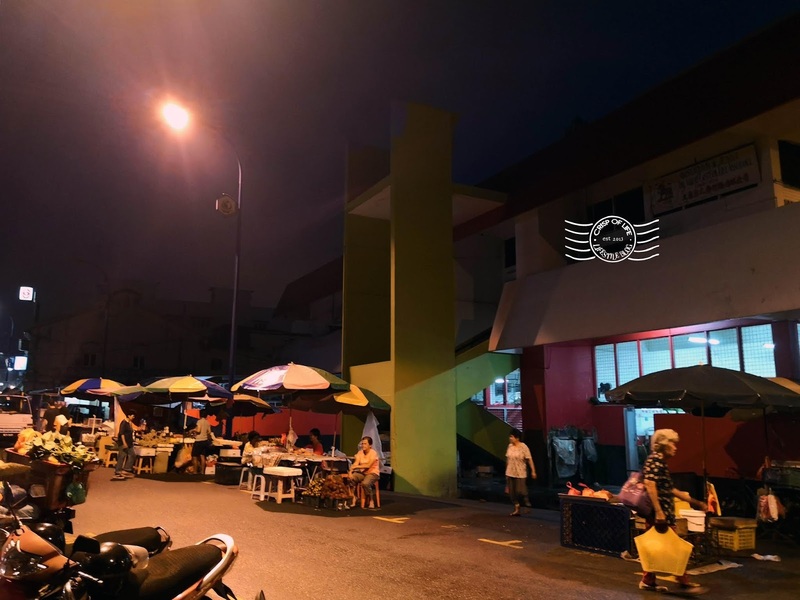 T.A.K Ice Cream Corner is one of the vintage place in Bentong to enjoy some desserts such as Cendol or Ais Kacang. Check out their menu for a variety of choices. Be wary as it might be difficult to get a table during peak hours. Kow Po is renowned for their homemade ice cream. The modest coffee shop sells a variety of desserts to be topped with their ice creams, though you may order ice cream separately too. Three scopes of ice cream here cost RM 12, an average price in Bentong town but rest assured the serving scoop is big. We were impressed with their banana flavoured ice cream in particularly. It surprised us that locals were thronging this particular Fried Noodles stall (located near to Bentong Tau Fu Fa). Intrigued by the crowd, we drew near to the stall and surprised to see a selection of Yong Tao Foo can be ordered with the Fried Noodle. The noodle texture and size here is different from the conventional yellow noodle we had. We ordered a packet for take away and surprised to find out the fried noodle is so addictive. The noodles were soaked with curry and resulted an aromatic and exceptional taste. Though the Yong Tao Foo were a tad salty but it was delicious overall. Soup Yong Tao Foo is available for take away too. Restaurant Shuangxi Lou offers a decent venue for a fulfilling dinner. This restaurant is popular among locals to organize small scale wedding, and in the morning dim sum will be served. We ordered a serving of Ginger Chicken (RM 32) , Tau Fo Pok (RM 10.80) and Stir Fried 4 Heavenly Kings (RM 18). The chicken is topped with an enormous quantity of ginger which caught us in surprise. Meanwhile, Tau Fo Pok is delicious as the beancurd is stuffed with meat filling, while the Stir Fried 4 Heavenly Kings is cooked uniquely with stinky beans. Overall experience is not bad though we felt it was a tad expensive. Jalan Chui Yin was converted into night market during our visit and there were a large crowd here. There are plenty of food offered here such as chicken rice, Char Koay Teow, fried noodles, snacks and etc. Bentong morning market is a nice place to unveil and purchase some local produce. It is conveniently located at Jalan Chui Yin, and you can get some famous Bentong gingers or local made tau fu pok here. The market operates as early as 6am in the morning. In the evening, makeshift stalls will be setup outside of market and offer a variety of local produces. We also spotted this shop along Jalan Chui Yin that sells Bentong gingers and Musang King durian. Chamang Waterfall is located approximately 20 minutes driving from Bentong town. Entrance fee is RM 2 per person, and Chamang Waterfall is practically within your sight at the parking lot (minimum walking required!). The nature creation is beautiful here and you can see people enjoy the water at the lower stream of the waterfall. Be wary though as Chamang Waterfall is infamous known for an accident prone area and has taken the lives of many. Bentong walk (Jalan Chui Yin) is the heart of Bentong. 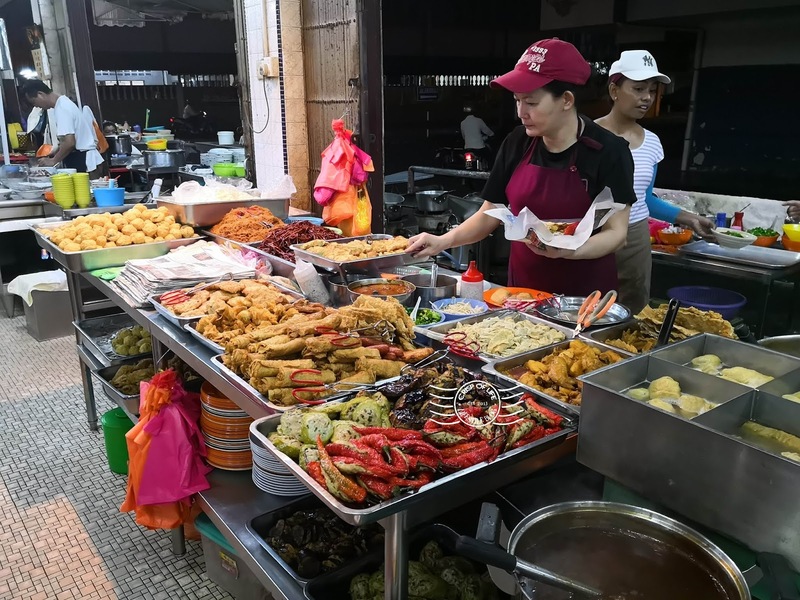 There are numerous eatery along the road, and every Saturday the normal street turns unusually bustling with various stalls occupying the street. Indulge in the food and activities while take some time to understand the culture of Bentong city here. There is a stretch of mural arts located right beside Jalan Chui Yin connecting to Jalan Tali Air. Go creative and take some shots with the mural arts, and pray there are no cars park by the roadside and block your view! As the name suggests, the gigantic Bentong sign shows that you are in Bentong! Of course, there are many other places to visit in Bentong such as Bentong hot spring, soy sauce factory and etc. Time is pretty limited as we only have a day here. However it is up to you to explore! Grand hotels might be absent in this quiet town but Kristal Hotel may be a great choice should you need to spend a night here. The hotel is located near to the town center, clean and features a minimalist design. Parking is abundant by the street. The facade may suggests a run down hotel but rest assured the hotel is well maintained.